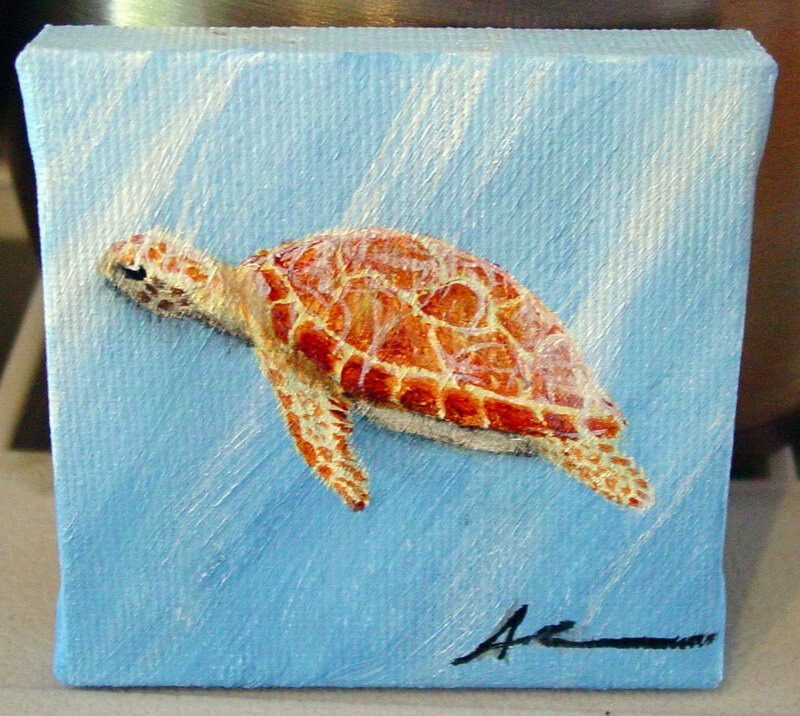 After I painted a sea turtle for my contest winner, I decided I wanted to do another one just for the heck of it. 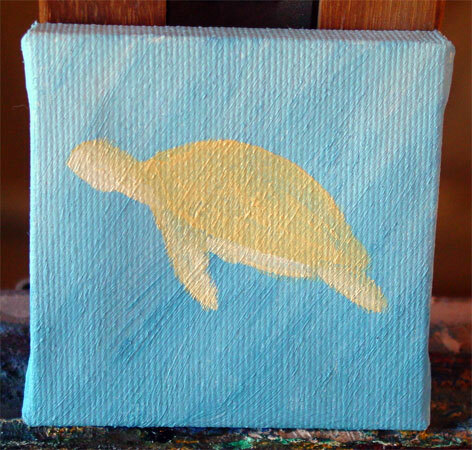 This little painting depicts a green sea turtle swimming in shallow ocean waters, frolicking through the sunbeams streaming in from above. He’s a perfect size to fit in a little niche on a bookshelf, desk, or side table. 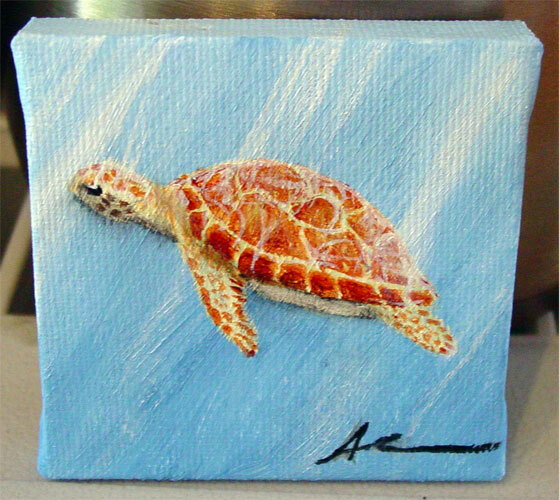 Sea Turtle, 2.75″ x 2.75″ oil on canvas, nfs (sold). 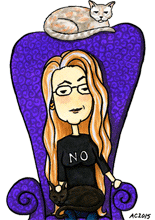 This painting comes with a little 5″ wooden easel for display. 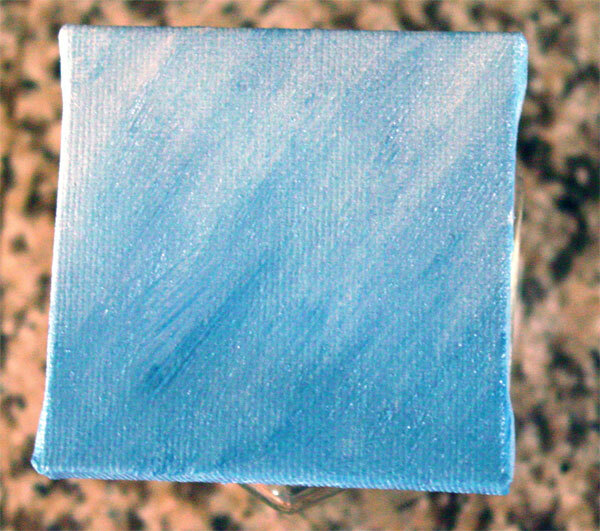 First, I laid down the background, fading from the sunlit top of the water to a clear blue near the bottom, including the edges of the tiny canvas. Then I added in the turtle himself, or at least his shape, which had to dry before I could put in his details and create the charming fellow you see above.